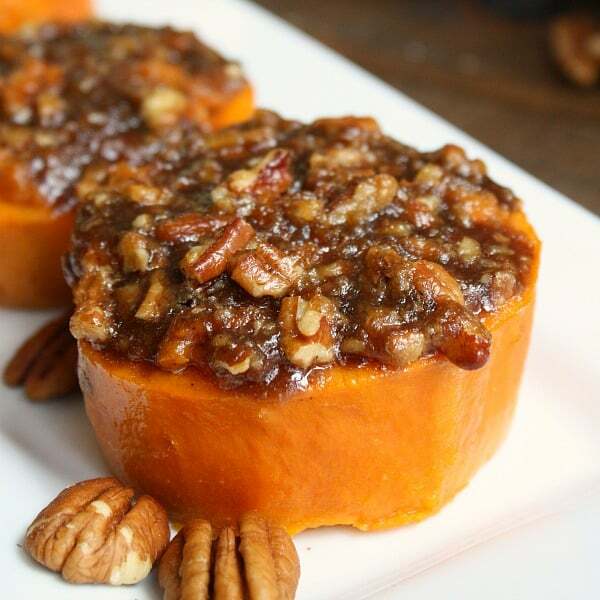 Mini Sweet Potato Casserole is an easy Thanksgiving side dish filled with crunchy pecans, sweet brown sugar, and cinnamon! This is my favorite time of year! The upcoming holidays mean getting to spend more time with friends and family, and of course lots and lots and amazing food. I’m always up for experimenting with new recipes, but in my family, everyone has their “must-have” Thanksgiving dish that has to be on the menu no matter what. That doesn’t leave a lot of room for new easy casserole recipes unless we want 6 sides to go along with dinner (it’s happened!). So, instead, I just try to put a slightly different spin on a classic. This year it is sweet potato casserole. This is a family favorite and it wouldn’t be Thanksgiving if it wasn’t on the menu. Usually, it is made in a casserole dish but to fancy things up a little this year I am making mini sweet potato casseroles. Each sweet potato ring is filled with sweet potato mash sweetened with brown sugar, cinnamon, and orange juice, and topped with a blend of brown sugar, cinnamon, and pecan topping. Then they are baked until the topping is bubbly. Yum! It is all of the flavors of traditional sweet potato casserole packed into individual servings. 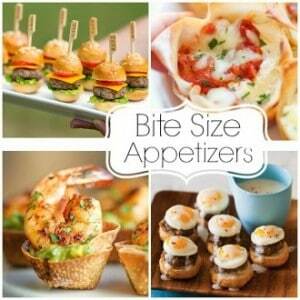 Tastes great, looks impressive, and it makes sending leftovers home with everyone super easy! 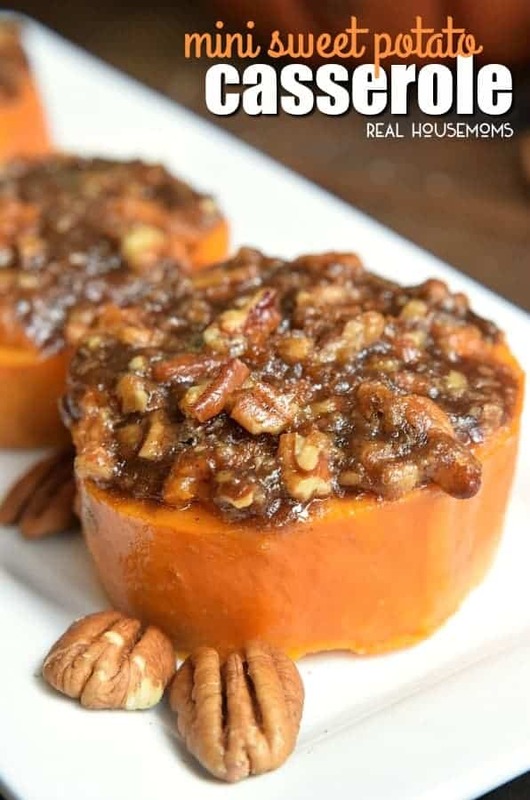 This mini sweet potato casserole recipe is an easy Thanksgiving side dish filled with crunchy pecans, and sweet brown sugar and cinnamon. Place sweet potatoes in a pot and fill with enough water to cover them. Bring water to a boil and cook until the potatoes have softened. Remove sweet potatoes from water and cut them into 1 1/2" slices and place them on a greased baking sheet. Slide the peel off of the sweet potato slices. Sit end pieces of the potatoes to the side. 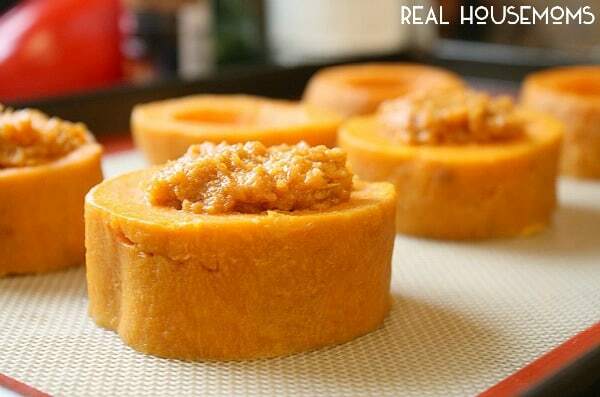 Use a spoon to take a scoop out of the center of each sweet potato slice, making sure not to go through the bottom. In a small bowl, mash the scooped out portions and the end pieces of the sweet potatoes, together with the brown sugar, orange juice, and cinnamon. Stuff the sweet potato mash back into the sweet potato slices. Make the topping by mixing the brown sugar, chopped pecans, butter, and cinnamon together. Pour topping over each sweet potato slice. Bake at 350°F for 30 minutes or until topping is bubbling. 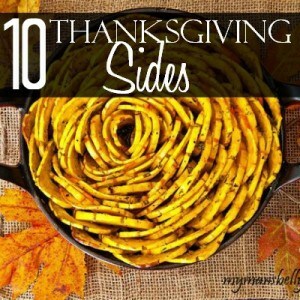 I cannot wait to make the Mini Sweet Potato Casserole !!! It sounds and looks like it will be Delicious !! I bet you’ll love it!! Tried recipe. Topping had to be spooned on top, very thick. Is the topping missing a liquid ingredient? I’m afraid I don’t know what you mean by the topping is too thick. When you’ve followed step 9 it should be thick while being mixed together because once you bake it the butter and sugar will melt over top and become more on the syrupy side and liquify somewhat on its own. Ate there any tips to make ahead? That’s what I was just wondering. Thanks for the question, hope we get an answer quickly! The prep of this is pretty simple, what takes the longest is the actual cooking so it’s hard to recommend what items could be done beforehand. 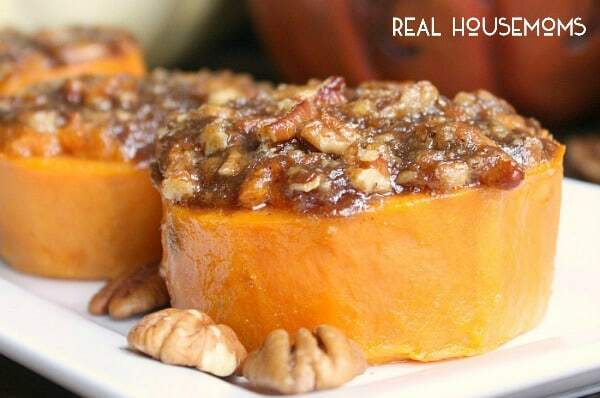 You could certainly make the pecan topping ahead of time. You could brave pre-boiling the sweet potatoes the day before getting them cut, peeled and the middles scooped out, storing them and the scooped out mashed middles in an airtight container in the fridge. Then when it’s time to bring them out and assemble for the oven, get them out of the fridge and bring to room temperature and finish off the process. However, I’ve never tried this method before so, please understand that this could be more time consuming than just following the recipe as is. I peeled and cut the potatoes ahead of time since they were huge…will they still be ok to boil without falling apart?